Tons out there, but are there any free YouTube to MP3 converter that offer ripping audio from YouTube to MP3 with high quality? Which YouTube to .mp3 converter gives the best sound quality? So I've tried a few of these YouTube to mp3 converters but they all give pretty meh sound quality. If the high quality is what you emphasize on for YouTube to MP3 conversion, just read on. 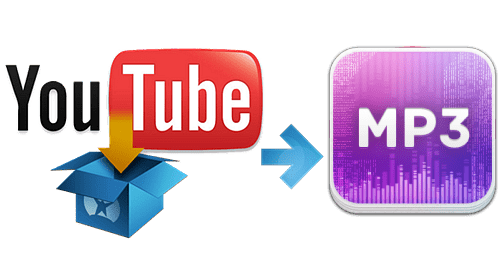 This post will list the decisive factors for a high-quality conversion from YouTube to MP3 and share the best YouTube to MP3 converter tool and sites available to extract MP3 audio from YouTube with ease. * Convert YouTube Video to MP3, AAC, MP4, MOV, MKV, AVI with lossless quality. * Transfer YouTube to iPhone, iPad, Chromecast, PS4 with 420+ preset profiles. * World's NO.1 fast converter supporting Intel QSV/Nvidia HW accelerating tech. Generally, YouTube restricts the audio quality to begin with. It does not support any video with a bit rate above 192kbps for sound. Therefore, even if someone uploads a video with a TRUE 320kbps audio track, YouTube will downconvert it to 192kbps. Thus, purely converting a YouTube video to a 320kbps MP3 will not sound any better than the one with a 256kbps ~ 192kbps MP3 file. Even if you try to convert YouTube to MP3 at a higher bitrate, see from 96kbps to 192kbps, it is still helpless, which won't improve the sound resolution and will even waste a lot of storage space. Below are the bitrate settings for your MP3 quality. 32kbps - Voice/analog tape recordings. 128-192kbps - Ripping tracks from a CD. 192-320kbps - Recording complex audio sources. CBR is the default setting compatible with all MP3 decoders but doesn't produce optimized MP3 file when converting YouTube video. While VBR remains the best resolution and produces better MP3 file optimized for size and quality. The bit rate refers to the number of bits used to store per unit of playback time. Higher the bit rate means more sound information and better sound quality and vice versa. 128kpbs is the standard, but if you want to convert YouTube to MP3 with high quality, 320 kbps is the best. Bit rate also has a close relationship with file size. But nowadays mobile devices are still constrained by the capacity limits of flash storage. YouTube to MP3 download and convert times are also a concern; it takes much longer to download and convert a YouTube video to MP3 with higher bit rate. Assuming you want to rip music from YouTube to MP3 sound with high quality, you should take more aspects into consideration, e.g. bit rate, sample rate, compression codec, file size, etc! Here the flagship product from the software pioneer MacXDVD named MacX Video Converter Pro is the versatile yet solid one you can trust on. Highly acclaimed as the world's number 1 YouTube to MP3 audio converter, this professional YouTube to MP3 audio ripper delivers the perfect performance in converting any YouTube video (HD or SD) to MP3 with highest possible quality reserved thanks to its inherent High Quality Engine aids. Plus, armed with the adjustable parameter settings, you are free to customize your converted MP3 files with the most suitable bit rate (up to 320 kbps), sample rate (44100), compression codec (mp3lame) and also gain the right-size MP3 audio file. Directly download YouTube to MP3 or other audio formats, e.g. AAC, FLAC, WAV, iPhone ringtone, AC3, WMA, ALAC, etc. Besides downloading YouTube videos and songs, you can also download videos from Facebook, Vimeo, and 1000+ other online sites. Adjust parameter settings, e.g. higher the bit rate up to 320kbps, tweak the sample rate up to 48000, adjust video resolution, codec, etc. Convert YouTube videos to MP4 MP3 and other 180 video formats and 14 audio formats. Directly transfer YouTube videos to iPhone, iPod, iPad, Apple TV, Samsung, PS4, Xbox, etc. No ads, virus, spyware or malware. 100% clean. How to Convert YouTube to MP3 with High Quality and Best Parameter Settings? 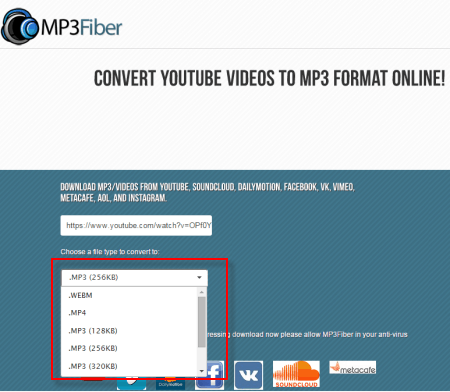 Free download and run this world-class YouTube to MP3 converter, then import source video by clicking "Add File" button. It accepts all the video/audio files downloaded from YouTube, including FLV, MP4, MKV, WebM and 3GP. Click "Browse" button in output setting area and select a destination folder to save the converted high quality MP3 file. Click "RUN" button to start the YouTube video to MP3 audio conversion on Mac. You can view the conversion progress and are able to cancel the converting process at anytime. 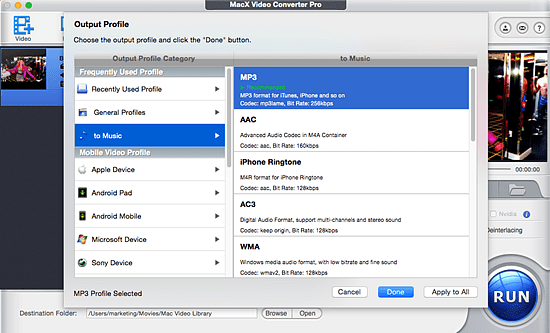 Tips: You are also the master to opt for converting YouTube to AAC, AC3, iPhone Ringtone, WMA, WAV (lossless quality), etc. as you like. And the rank of audio quality for your reference is: MP3/WAV > AAC/AC3 > iPhone Ringtone > WMA (320 kbps would be better). What else: On top of YouTube to MP3 with high quality, what if you also have the need to convert YouTube videos to mobile devices like iPhone iPad iPod, Galaxy Note 8/S8, Sony, Nokia, Blackberry, Zune, etc., no biggie! With sufficient preset profiles offered (above 350), you can convert any YouTube 4K, 1080P, 720P, MP4, AVI, FLV video to your iPhone Xs/X/8/7/6S/6/6 Plus, iPad Air 2/mini 4, iPod, Android with original quality reserved and best default settings for you. Video2MP3 - is another trust worthy free online YouTube to MP3 converter that is quite powerful in converting YouTube movies videos to MP3 sound with high quality (up to 256kbps). It claims to convert video to MP3 from most of the popular video services like YouTube, Dailymotion, MyVideo, etc. Also only several simple clicks and you'll get the high quality MP3 files converted from YouTube in 5 minutes (based on personal test). 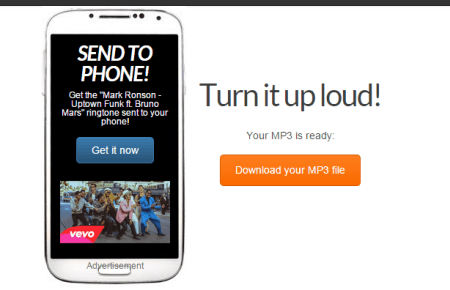 More incredibly, this app enables you to get the converted MP3 ringtone send to your phone. That's fantastic, right?